Not that long ago, a standard high school diploma was a surefire ticket to a lifelong career. More recently, earning a college diploma almost certainly ensured a well-paying job. But in 2018, neither of these is true. The result? Hardworking graduates with nothing awaiting them but uncertainty while in-demand jobs go unfilled. It is time to make sure all students have the opportunity to pursue courses and skills that will serve them in the future. This is the only way we will be able to close the skills gaps — the differences between what employers need to fill existing in-demand positions and the current knowledge and skills possessed by America’s workforce. Just last year, the U.S. Department of Labor announced that our country had 6.2 million job openings. Meanwhile, 7 million Americans were unemployed. Take health care, for example: America will see an estimated 1.2 million vacancies for registered nurses between 2014 and 2022. Clearly, there is a disconnect between the skills and qualifications employers are seeking and those held by job seekers. But what if all students had the opportunity to begin their own path to a career while still in high school — the chance to earn industry certifications, college credits, and other credentials that would prepare them for meaningful, in-demand careers? Some states are addressing this issue through career and technical education — CTE. Successful CTE programs empower students to explore and prepare for a range of career options while they are still in high school. From health care services to information technology, these programs offer education pathways that align with the needs of their state or region’s employers. ExcelinEd is crafting a series of career and technical education playbooks that state and local policymakers, school districts, and businesses can use as they collaborate to build a workforce for the ever-evolving economic landscape. The first three playbooks, Putting CTE to Work for Students, Building Cross-Sector Partnerships to Support CTE Pathways, and Auditing a State Career and Technical Education Program for Quality, are now available as free downloads. Career and technical education is becoming an increasingly vital part of states’ long-term economic plans — and there are already effective CTE programs to learn from. One great example is Delaware, where school districts, businesses, higher education, and national advisory partners joined to develop Delaware Pathways. 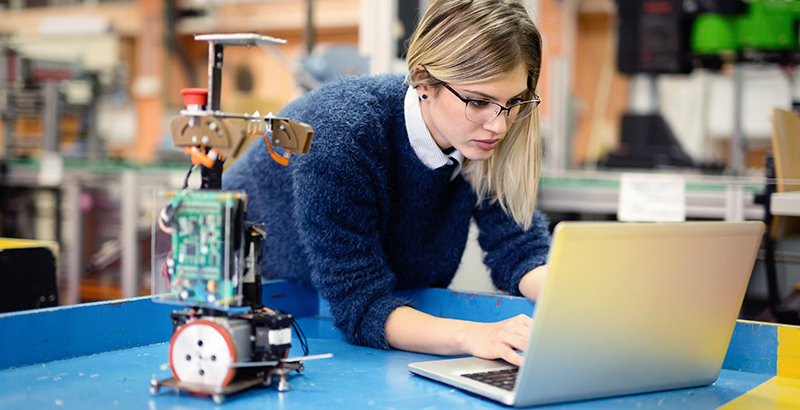 After identifying the state economy’s most critical needs, Delaware Pathways developed 12 programs to help high school students pursue in-demand sectors — from biomedical sciences and computer science to manufacturing production and logistics. These programs pair curriculum focused on a specific industry-based pathway with opportunities to gain work-based learning experience, college credit, or qualifications necessary to enter the workforce upon graduation. In the 2016-17 school year, 5,000 students were enrolled in Delaware Pathways programs across 36 schools. State policymakers should take note of Delaware and other successful CTE programs. By working together with businesses, schools, colleges, and universities, each state can cultivate an education landscape where all students have the opportunity to prepare for success and pursue their dreams. Patricia Levesque is chief executive officer of the Foundation for Excellence in Education.